Make Facebook look like a steam engine. Bruce Sterling talking about the human sensorium, enough hype and putting AR in light bulbs. Jees, this guy is annoying to listen to, says the only comment. It got upvoted twice. Bruce Sterling – excuse me i mean the prophet of AR – is talking at Augmented World Expo 2016 on YouTube. I came here two years later because of a lengthy footnote that Benjamin Bratton put in The Stack. Not yet sure what to think about Brattons idea that ARs killer application „would prove to be not marketing but those fundamentalist religion and politics (as well as security Apps and their monetizations)“. 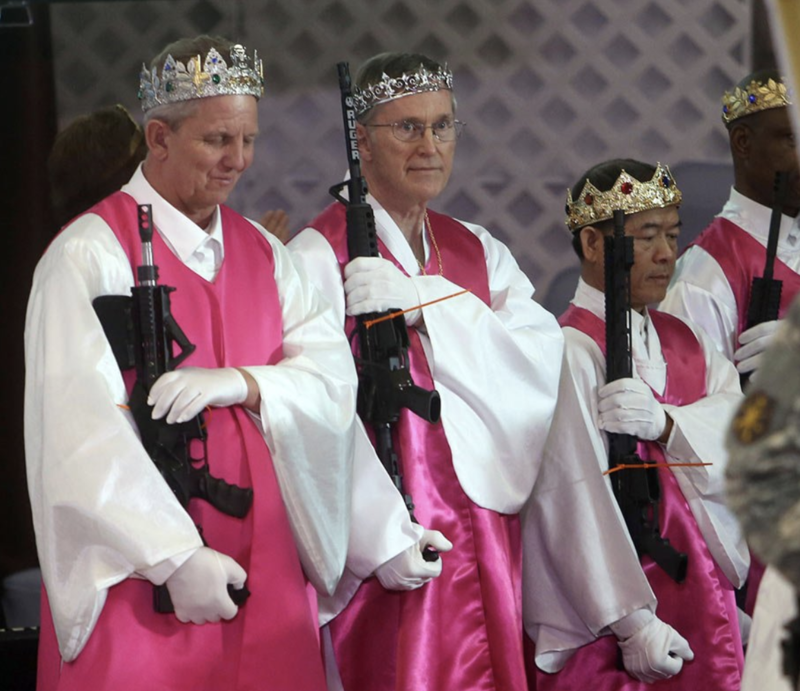 That might sound alarmist but we all have seen the chinese police woman a couple of days ago and these worshippers today. These make Sterling sound a lot less crazy in 2009: Soon we’ll have some themepark Creationist Augmented Reality. Well. I have the impression that we are already experiencing something similar when walking down the city center with all the commercials crying out loud for attention while the mobile phone rings and we do have to act as employer, friend or someone else. But all this might change when „a fully mature interface regime“ (pg. 226) finally arrives. „The MIT Media Lab Tangible Media Group*, led by Hiroshi Ishii, works on tangible user interfaces (TUI) and a future of radical atoms based on microscopic computing machines dissolved into physical matter, while the MIT Center for Bits and Atoms led by Neil Gershenfeld develops self-assembling microbotics and a program of ‚conformal computing‘ in which artificial and natural information layers might interoperate directly“ Bratton, 226 Gershenfelds latest book is called: Designing reality. And it is not at all about the Social Construction of Reality. * Radical Atoms is the future material that can transform their shape, conform to constraints, and inform the users of their affordances. Radical Atoms is a vision for the future of human-material interaction, in which all digital information has a physical manifestation so that we can interact directly with it. We no longer think of designing the interface, but rather of the interface itself as material. We may call it “Material User Interface (MUI). 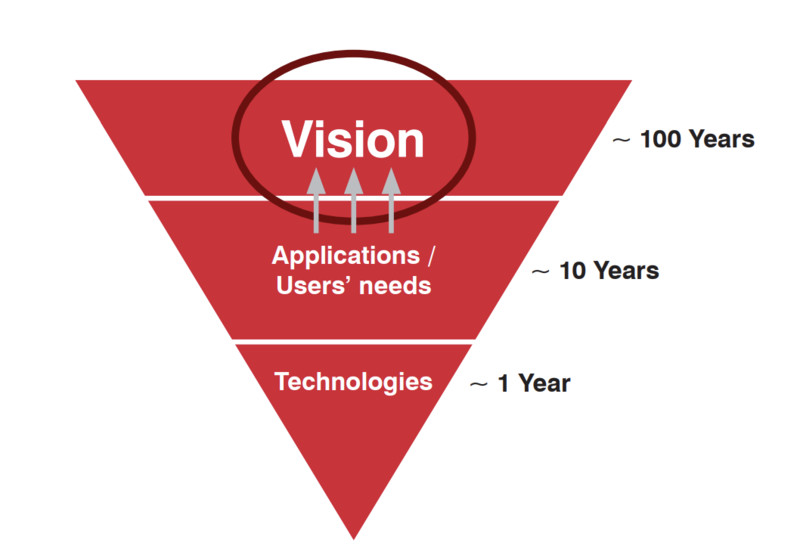 And: From the three approaches in design research: technology-driven, needs-driven, and vision-driven, we focus on the vision-driven approach due to its lifespan. Sounds like a useful idea. Next video on the list. ** Design Fiction is a design practice aiming at exploring and criticising possible futures by creating speculative, and often provocative, scenarios narrated through designed artifacts. 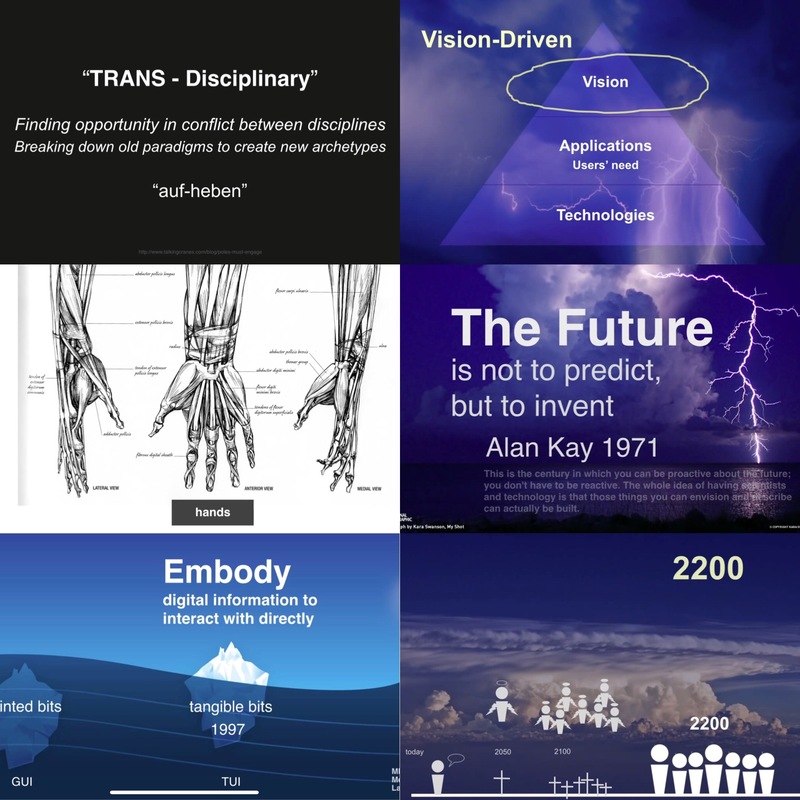 It is a way to facilitate and foster debates, as explained by futurist Scott Smith: „… design fiction as a communication and social object creates interactions and dialogues around futures that were missing before. It helps make it real enough for people that you can have a meaningful conversation with“. By inspiring new imaginaries about the future, Design Fiction moves forward innovation perspectives, as conveyed by author Bruce Sterling’s own definition: „Design Fiction the deliberate use of diegetic prototypes to suspend disbelief about change“. 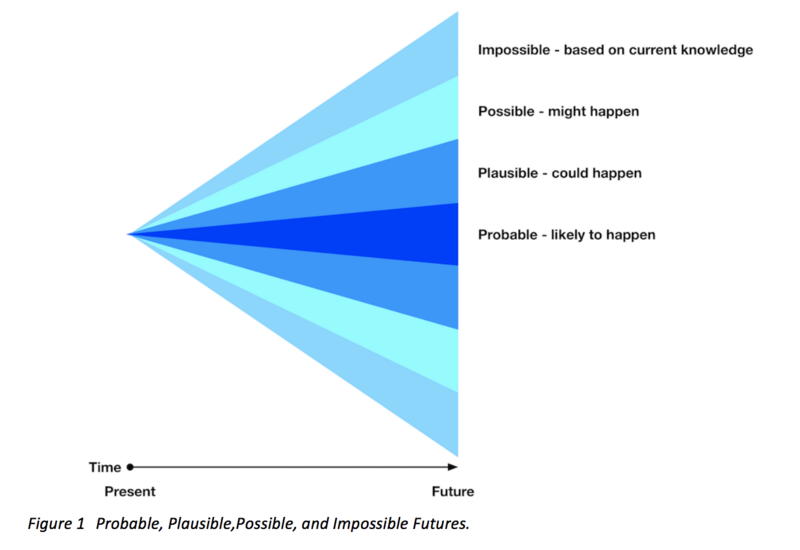 Randomly related: Global Futures Lab.